On March 27th, 2019, Ann Marie Sanchez passed away peacefully in home with her husband, eldest son, and daughter by her side. Ann was born on November 23rd, 1934 in Sayre, PA to Dorothy and Joel Andrus. She grew up in Waverly, NY, the eldest of six children: David (deceased) Norman (deceased), Susan (deceased), Janet, and John. Ann was a graduate nurse and worked in hospitals on the east and west coasts, eventually settling in Napa, California. Ann loved gardening, painting, cooking, played the guitar, and loved the ocean. Ann will be remembered as a loving mother, grandmother, sister, and wife. She is survived by her husband, Charles Sanchez, sons and partners, Miguel and Harriet, Andres and Doreen; daughter Aleja and her partner Karl; grandson Carlos Sanchez; and siblings Janet, and John. In lieu of flowers, please donate in her memory to The Arbor Day Foundation. 1 -888-448-7337 or online here. A memorial celebration will be announced for the middle of July. On April 10th, 2019, the angels came for Elenka Niehaus. 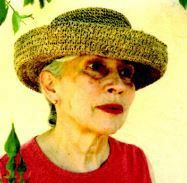 She left her loved ones of natural causes at the age of 95, surrounded by family and looking out at the beautiful gardens of her Napa home. Born in London, England in 1923, she met her future husband, LeRoy, during the difficult days of World War II. She spent many nights in London bomb shelters during the Blitz, while Leroy would go on to participate in the D-Day landings to free Europe from tyranny. They married in 1944 and moved to the U.S. where Elenka became an American citizen and embodied the can-do spirit of that Greatest Generation, raising a family in the promising state of California. Preceded in heaven by her husband, she continued to celebrate life and love through her three children, Ingrid Niehaus (husband Roger Neiley,) Kristin Einberger and Dana Niehaus. Then came grandchildren Alisha Berger (husband Daniel), Derek Einberger (wife Jen), Rose McLucas (husband Sean) and Scott Einberger (wife Andria Hayes Birchler). The arrival of great grandchildren, Crosby, Sutton and Grayson Einberger, Oliver Berger and Mari and Cosetta McLucas completed her circle of life as a loving matriarch. The family wishes to pay special tribute to Alena Vunakece, Elenka’s wonderful caregiver for over a year before her passing, who was by her side during the last difficult weeks. Much credit also goes to Collabria Hospice of Napa and in particular Jean Arrington and Tammy Jaffe. Their care and loving made a difficult time much easier for Elenka and her family. There are many touching ways her family would describe Elenka, but her lasting legacy was focused on her love of them and her ethics, teaching them right from wrong. She strived to always do what was right herself and constantly displayed sincere love and caring for all those she met. That wonderful attitude was both her legacy and her religion. A private Celebration of Life will be held in early May when the whole family can coordinate schedules to be together, which is the way she would have wanted it. Elenka’s ashes will live eternally with LeRoy’s in Tulocay Cemetary in Napa. John Meras was born in Greece and immigrated to Havre, Montana when he was 16 years old. He worked on the Northern Pacific Railroad at night and sat in a first grade classroom during the day learning to read and write English. With the help of a private tutor he graduated from Havre High School and went on to attend Northern Montana College. He became a naturalized citizen and served in the Navy during the Korean War. He married Mary Schulz, an English teacher at Havre High, in 1959. All 3 of their children, Ioannis(Yo), Maria and Darius were born in Havre. He joined the Prudential Insurance Company in 1962. During his career with Prudential, he won a number of state and national awards and was a consistent member of the Million Dollar Round Table. The Meras family moved to Terra Linda in 1972. After 23 years in Marin County, John and Mary moved to Napa in 1995 where he continued to work in the insurance industry until he retired after more than 43 years. John was active in civil affairs his whole professional life. He served on the Board of Directors of the Salvation Army, as state Vice President of the Junior Chamber of Commerce, and was a member of the Life Underwriters Political Action Committee, the Lyons Club, the Elks Club, and the Business Information Club of Napa. In 1963 he received the Distinguished Service Award for his contribution and service to the city of Havre. In 1969, the Daughters of the American Revolution presented John with the DAR Americanism Award for his service and loyalty to his country. He was one of the original organizers of the Bank of Napa in 2006 and served on the Executive Committee as Director. John passed away peaceful on February 5, 2019. He is survived by his wife of 59 years Mary, son’s Ioannis(Yo) and Darius, his daughter Maria, his granddaughters Kassie and Jessica, his grandsons Dominic and Andoni, his son-in-law John Oakes, his daughter-in-law Betsy Meras, and his brothers Peter, Harry, and Thanash. A Celebration of Life will be held Sat, May 11 at Green Valley Mortuary & Cemetery, 3004 Alexandrite Dr., Rescue, CA 95672 at 1 p.m.
John Joseph Motty passed away at his home due to complications of Parkinson’s Disease on April 3, 2019. John was born on January 18, 1932 at Vallejo General Hospital to Vandelia and John Francis Motty. The family moved to Napa shortly thereafter. As a young man, his stepfather, A. Frank Ferrari was in the military and was stationed at several bases throughout the country. John was an “Army Brat” and had many adventures and loved it! Returning to Napa, John attended Napa schools graduating from Napa High School in 1951. John served in the US Navy for four years during the Korean Conflict, as a plane captain on the aircraft carriers, U.S.S. Boxer and the U.S.S Valley Forge. After his honorable discharge, he returned to Napa, working at the U.S. Post Office at the Franklin Street Station. He was introduced to Carole Lee Stuebner by his Navy buddy Del Ott and his then fiance, Jeanette Thibaut. Carole and John were married at the First Presbyterian Church in Napa on January 22, 1956. Their daughter Linda Diane of Napa, was born in 1958. John went to work at Kaiser Steele and then Dietrich-Post in Oakland. The Motty’s opened a printing business in San Rafael, Ace Letter Service, and then moved the business to Napa, Motty’s Olde Colony Press. During this time, John attended Sonoma State and UC Berkeley earning his teaching credential. He taught Graphic Arts at Vintage High School for 22 years while running Olde Colony Press with Carole. They worked together for 31 years. The couple shared a great interest in antiques and sold their wares at Riverfront Antiques for several years. After retiring from their business and teaching, they traveled extensively throughout the country shopping for antiques. They also made several trips to Europe as well with Linda and Grandsons, Christopher and Eric. John was an avid fisherman, especially at Lake Berryessa. He was a member of the Napa Rifle and Pistol Club for many years, shooting a perfect score of 200 in 1966. John was a 50-year member of Native Sons of the Golden West #62, American Legion Post #113 and the Principals Club at Vintage High School. The Motty’s were longtime members of Napa Valley Country Club, and enjoyed tennis. 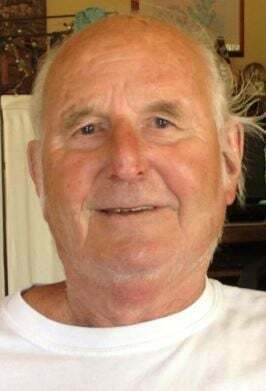 John leaves behind his wife, Carole of 63 years, daughter, Linda Motty, four Grandchildren, Amanda Kevan of Roseville, Alexandra (Jon) Boivin of Roseville, Christopher Lyon and Eric Lyon of Napa. Five Great Grandchildren, Amelia, Natalia and Charlotte Kevan, Michayla and Christian Boivin. John is also survived by his sister Susan Ferrari of Washington. At John’s request, services will be private. Vernal Fred Lewis age 94, passed away peacefully on March 14, 2019 in Napa CA . He is survived by his daughter, Leslie Ann Ross, her husband James Ross of Deep Run, N.C., his brother Edwin Lewis of Vallejo, CA; 7 grandchildren, Robert Ross, Amanda Ross, Heather Hughes, Jay Pettit, Sharidy Quinn, Kristi Bortolussi, and Mandi Farr; 10 great grandchildren, Gage, Charlotte, James, Tyler, Natalia, Michael, Zachary, Tuff, Dylan, Noah and great great grandaughter Athena; stepdaughter Cheryl Whittles, stepsons Eric & York Frost, and Russell, Wesley, Brigham, Chris, & Bryant Denison. And other step grand children and step great grandchildren. Vernal was preceded in death by parents Clarence & Marjorie Lewis, his wife Kathy Denison Lewis, his brother Jack Lewis, sister Dorafaye Olsen, daughter Marjorie (Marty) Farr, and stepson Ronald (Charles) Denison. Born December 10, 1924 in Ogden, UT. His famly moved to Vallejo when he was about 10. He graduated from Vallejo High School and lived in the Bay Area for over 80 years. He served in the U.S. Navy during World War II and was honorably discharged on April 8, 1946. He loved fishing, reading, watching westerns and spending time with his children, nieces, nephews, and grandchildren. He was an active member of the Church of Jesus Christ of Latter-day Saints and worked in the Oakland Temple for 30 years. He enjoyed geneology, story telling and traveling. He always had a smile on his face and was kind to all. He was a peacemaker. He enjoyed talking to people about his church. He will be missed but not forgotten. Memorial service will be held Saturday, April 13, 2019 at 10:00am at The Church of Jesus Christ of Latter-day Saints, 745 Webster St., Petaluma, CA. Michael Elliott passed away on March 27, 2019. Mike was born in Pasadena, Ca on March 24, 1953. He was one of three children born to Bob and Suzie Elliott. He spent most of his boyhood in San Gabriel, CA and graduated from UC Davis with a degree in Food Science. He enjoyed a successful career in the wine industry, making memorable wines in New York and California and providing packaging and supplies to major vintners. Mike lived life to the fullest. He was humble and gracious in all things. Mike was generous with his humor, heart and home. An accomplished chef and winemaker, Mike’s home was the focus of memorable gatherings that included delicious food and incredible wine. You could always count on a place at his table if you needed a good laugh, insight into virtually every subject or a bit of sage advice. Friends and family will miss his Sunday dinners, especially his heavenly buttermilk fried chicken! Mike was a formidable ping pong opponent and masterful at completing the New York Times Crossword Puzzle as well as always getting the final clue on Jeopardy. Mike had a wide circle of friends and business associates. He especially enjoyed his golf foursome of twenty seven years, “The Sandbaggers”—Tom, Roger, and Charlie; “see you on the back nine my friend”. But Mike’s greatest joy in life was taking care of “His Girls”, the love of his life and wife Sue, and their daughter Kelsey. He was happiest playing a morning game of cribbage with Sue, followed by working in the garden and ending the day with a delicious meal together. Mike and Sue enjoyed many great travels and adventures and most recently moved to Gig Harbor, WA to be closer to their daughter and son-in-law. Mike was overjoyed about the upcoming birth of their first granddaughter, Ellie. Mike is survived by his loving wife of 38 years, Sue and his daughter Kelsey and her husband Bob Carlson. He also leaves behind his mother, Suzie, sisters Judy (Charles) and Kathy as well as Sue’s siblings, Jack (Amy), Jan, Mike (Evonne), Brad (Cindy). He is predeceased by his daughter Paige and father Bob. A memorial to honor Mike will be held in Napa on June 21st. Please contact elliottvineyard@gmail.com for updated information. The family asks if you wish to give in Mike’s honor please give to Planned Parenthood or a charity of your choice.